This is volume one of Blockley’s study and edition/translation of Eunapius, Olympiodorus, Priscus, and Malchus, four Greek-language historians writing in the fifth-century (although early stages of Eunapius may have been published in the later 300s). These historians only survive for us in fragments — quotations by later, Byzantine, authors, or use by other late antique and ‘Byzantine’ historians (not always with attribution). They are important because the fifth century is a century of fragmented knowledge and history. So we need all the sources we can get. 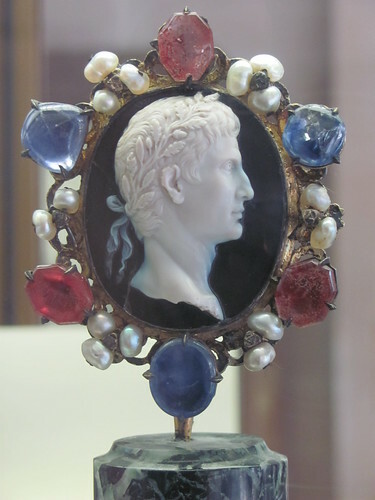 They are also important because they represent a particular genre of history writing of which we have but little from this era of Graeco-Roman history. Blockley divides this volume into two parts: The Historians and The Fragments. In the first part, each historian is introduced in turn, providing plausible dates of publication, his background, what the original contours of the history would have been, what he was like as a stylists, what he was like as a historian, what we think his main concerns were, his relationship to Christianity, and how we know this; from what I can tell, the bibliography was up to date at time of publication (1981). These chapters are followed by a discussion of what ‘classicising history’ is and how we should classify these historians — not as ‘pagan’ (not all of them are) nor as ‘secular’ (that, too, is misleading) but as ‘classicising’; they are consciously writing in the tradition of Herodotus, Thucydides, Polybius. Part two is a discussion of the same material from the other direction — what are the sources for our fragments, how do we know these fragments are from these historians, and then a brief summary of what each fragment includes. This is a highly useful book, readable, fairly brief, and a good introduction to the sources edited and translated in volume 2. This entry was posted in Ancient World, Classics, History and tagged eunapius, fragmentary classicising historians of the later roman empire, historiography, late antiquity, malchus, olympiodorus, priscus, r c blockley on January 2, 2018 by MJH. 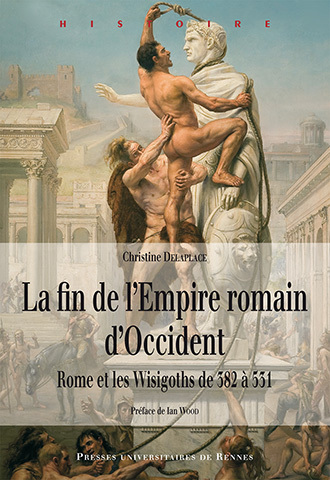 The other day, I slipped downstairs to borrow a copy of Christine Delaplace, La fin de l’Empire romain d’Occident from my boss/colleague/former PhD supervisor. While I was there, mid-chat, I picked up Adrian Goldsworthy’s The Fall of the West and scanned his index for ‘Majorian’ and ‘Leo, emperor’. Our chat went on to a discussion of his intended trip to follow Rutilius’ Namatianus trip up the Italian coast, as detailed by the Gallo-Roman aristocrat in his 418 poem, De Reditu Suo. That morning I had been at the National Library of Scotland doing more research on the question of Majorian and Leo, looking at C.D. Gordon’s The Age of Attila. Gordon’s book is a fascinating (and dangerous) idea and illustrative of why so few people address questions like East-West relationships in the mid- to late 400s, or how consuls are promulgated and recognised, etc. The Age of Attila covers the years 395 to 498. After an introductory chapter describing the state of affairs at the death of Theodosius I in 395, Gordon proceeds to give translations of the fragmentary classicising Greek historians who give us narrative accounts of fifth-century Roman history. He arranges them in a logical order and then stitches the narrative together with his own words to fill in the gaps. The translated passages are italicised whereas Gordon’s passages are not. You can see why it is both fascinating and dangerous. The reason Gordon did this is because we lack for the fifth century something we take for granted for the Early Empire and the Peloponnesian War — a traditional, narrative history, in either Latin or Greek. For the fourth century, we have a good portion of Ammianus Marcellinus. 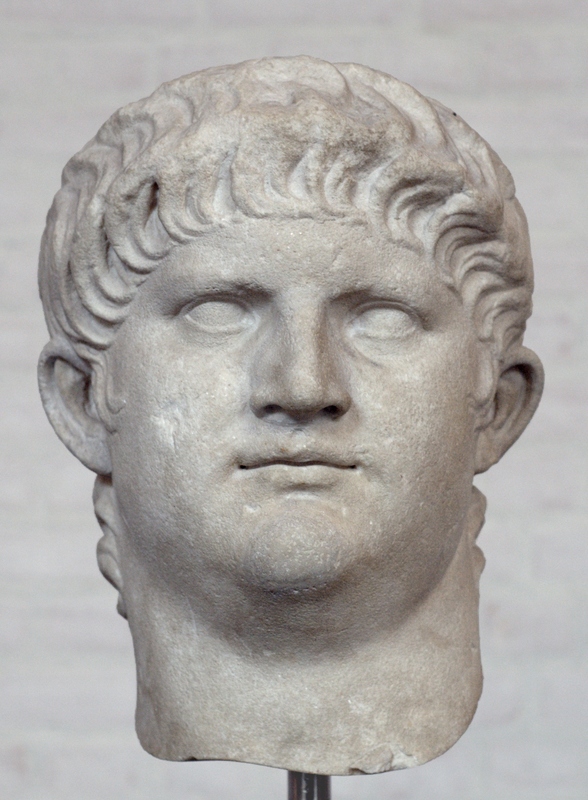 For the age of Justinian (r. 527-65), we have Procopius. For the sixth-century Franks, we have Gregory of Tours. For church history, we have three fifth-century historians who end in the 430s, and then a sixth-century historian who takes up their narrative. But all of our traditional narrative historians from the fifth century survive only in fragments. After Gordon’s 1960 venture, all the surviving fragments of Eunapius, Olympiodorus, Priscus, and Malchus were edited and translated by R.C. Blockley in The Fragmentary Classicising Historians of the Later Roman Empire in 1983. How do we fill in the gaps left by these fragments? Through careful use of other historiographical genres, saints’ lives, documentary evidence, inscriptions, coins, and even such items as sermons. The big historiographical genre for the 400s is the chronicle.Chronicles are great for what they do — they give you the series of years all organised chronologically with major events under each year. They are very helpful, and a lot can be gained from them. But they are not narratives proper, and thus a lot of questions cannot be answered no matter how carefully you read them. A lot questions are not even hinted at in many chronicles. In Latin, we have three overlapping chroniclers — the ‘Gallic Chronicle of 452’, Prosper of Aquitaine (455 final edition), and Hydatius (468), as well as sixth-century chronicles that had access to other sources we have lost, such as Victor of Tunnuna (c. 565), John of Biclar (up to 589), as well as the eastern Latin writer, Marcellinus comes (534 last edition). We also have Greek chronicles, many of them a lot later. These we can combine with Consularia, lists of consuls, and other computational genres that have to do with time, like Easter tables and the like. One historiographical text that helps us out in the fifth century is the so-called Chronicle or Chronographia of John Malalas. This is not a chronicle like Prosper, et al., but that doesn’t make it uninteresting or unhelpful. Taken with the Life of Daniel the Stylite, the narrative of Basiliscus’ reign/usurpation is fleshed out, for example. And so, alongside such texts, we also have saints’ lives. One such text that is helpful for Constantinople in the 470s, just mentioned, is the Life of Daniel the Stylite in which we learn some on-the-ground perspectives on the usurpation of Basiliscus (475-6). These require their own way of being handled, of course. Nonetheless, they can give us valuable information about social life and the views of non-episcopal Christians, even when they do not address political life. Other evidence? 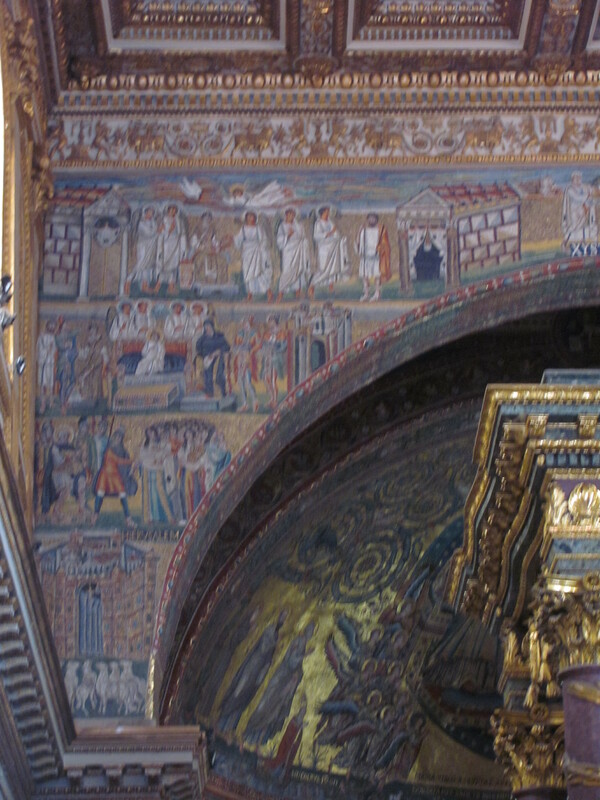 Imperial laws edited into the Codex Theodosianus (438) and the Codex Justinianus (529, 534), other imperial laws such as the Leges novellae of Theodosius II, Valentinian III, Majorian, Marcian, Severus, and Anthemius drawn from various sources. We have papyri from Egypt that document all sorts of things, including shipping invoices as well as taxation. Letters from popes, other bishops, rich aristocrats, et al., further enrich our fragmented vision of the 400s, along with poems and inscriptions and coins and sermons and theological treatises and ascetic treatises and philosophical tractates and the acts of church councils and probably a range of things I’ve forgotten at the moment. It’s a lot of evidence. Far more than almost any other period of ancient history. But because it exists in the short chronicles or redacted laws or fragments of papyrus or documents that aren’t concerned with things we want to know — or the aforementioned fragmentary historians — straightforward questions (‘Did the Emperor Leo acknowledge the Emperor Majorian? How did Majorian respond?’) are not always easy to answer. That’s what makes it frustrating and fun all at once. This entry was posted in Ancient World, Books, Classics, Discover Late Antiquity, History and tagged c d gordon, emperor leo i, emperor majorian, fifth century, fragmentary classicising historians of the later roman empire, historiography, r c blockley, the age of attila on August 8, 2017 by MJH. A vitally important fact that we all must come to terms with sooner or later is the reality of bias existing everywhere. For some reason, many of us have fooled ourselves into thinking that our news sources and our history books are somehow magically, spectacularly unbiased — that modern investigators of the truth can look clearly and objectively at facts and set them out for all to see. Such a mindset leads to young people being surprised or scandalised or suspicious day after day when they start to engage with the primary sources that make up our knowledge of the pre-modern world. For, you see, pre-modern authors (ancient & mediaeval, plus many others pre-‘Enlightenment’) often wear their bias on their sleeve. When we start to look at sources for early Christianity, for example, they kick up a fuss about the bias these authors had, that we cannot necessarily trust what Tertullian says about pagans or Eusebius on Montanists. That they are scandalously biased by their own religious beliefs. Eusebius, and ‘The Anonymous’ are so clearly anti-Montanist that we can trust almost nothing of what they say! But whom else can we trust, lacking any Montanist sources? Or perhaps it’s Suetonius or Tacitus, who often corroborate each other on details. Despite this corroboration, it is clear at times that what these men say about the early emperors is biased by their own personal histories, their own class, their own writing careers under Trajan and Hadrian. People will go to great lengths proclaiming this bias, and say that we can, therefore, not trust these narrators. It is true. We cannot trust them. Sadly, we can trust no one. Everyone is biased. We think we can trust Gibbon because of his modernist show of impartiality. But we cannot; contemporary research into Late Antiquity has shown him wrong on many points relating to the relationship between Church and Empire — his own anti-Christian bias slanted his perception of the evidence. Or if you read contemporary reviews of Syme’s classic The Roman Revolution, today’s historians observe that some of Syme’s own contemporary socio-political world has leaked through (I’m going to be a bad blogger and not hunt down that reference). Despite how hard we try, scholars are not free from bias. Acknowledging this is the first step to helping the reader find the truth that both parties seek. To return to the ancients, we often assume that we can trust eyewitnesses. They may not be biased, but at least — unlike Tacitus and Suetonius or Eusebius vs. Montanists — they were there. They saw and heard with their own ears and eyes. How could we doubt, for example, Sennacherib’s account of his own reign? Or Eusebius’ account of a speech by Constantine that he witnessed for himself? Or Villehardouin’s description of the Constantinople-sacking Fourth Crusade? But the eyewitness can, apart from deliberate obfuscation, misconstrue events and misread the signs and present the ‘best’ version of the truth (which isn’t lying per se). This misconstrual, misreading, and ‘best’ version are all touched by the eyewitness’ personal bias. It can be a cruel lesson to learn, that we are all biased. Knowing bias, though, helps gives us insight into texts. 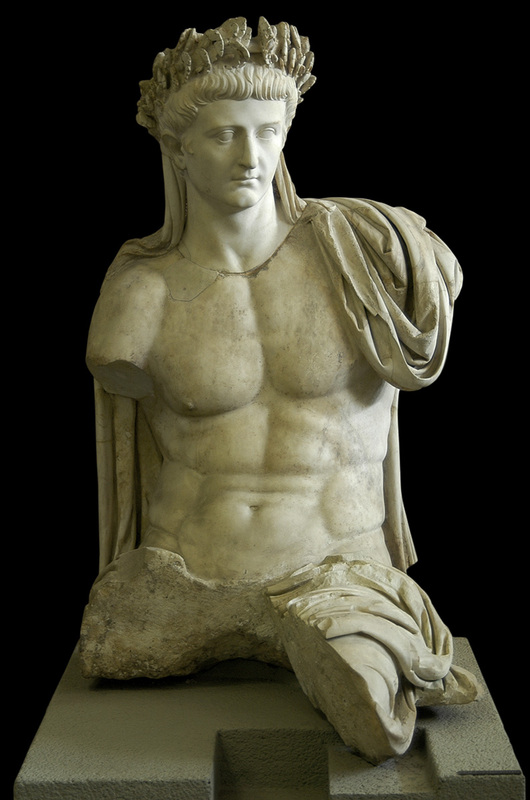 What is Suetonius’ social background? What is his education? What is his occupation? What is his relationship to the current régime? 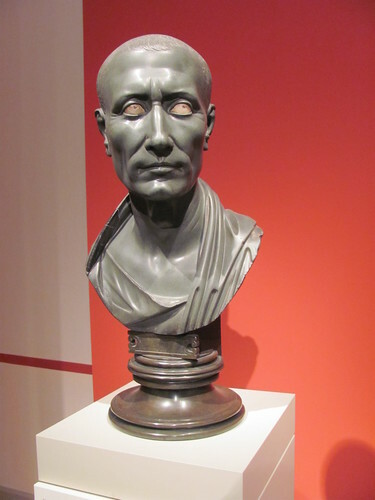 If we ask questions about what forms an author’s bias, we can move into a deeper knowledge of the ancient world; we can form more informed opinions on the reliability of certain reports over others; more importantly, we can see what sorts of things people of Suetonius’ day and class believed true of the first 12 Caesars — perhaps even what contemporaries of those Caesars believed true. This can bring us beyond simply trying to recount the ‘facts’ of politics and military campaigns or seeking to find the psychology of the emperors into discovering the worldview of the Romans who wrote and read these texts for themselves. A most valuable journey for all. 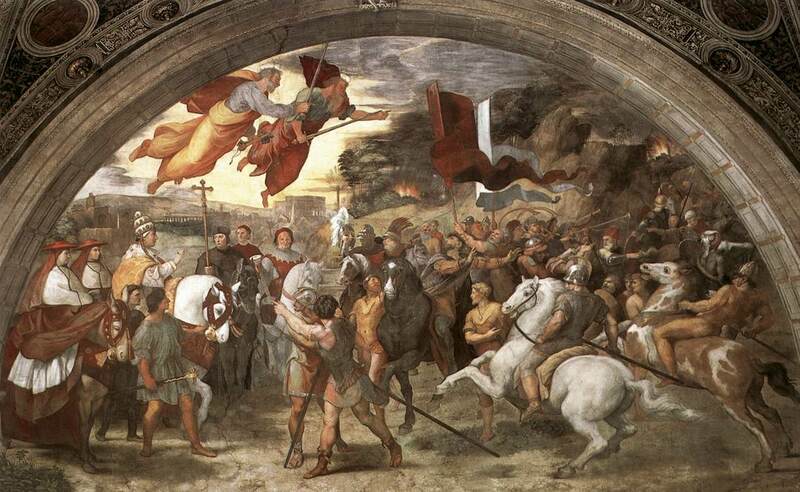 This entry was posted in Ancient World, Books, Christianity, Classics, History, Literature, Patristics and tagged bias, edward gibbon, eusebius, historiography, ronald syme, sennacherib, suetonius, tacitus, tertullian, the roman revolution, villehardouin on March 3, 2014 by MJH.